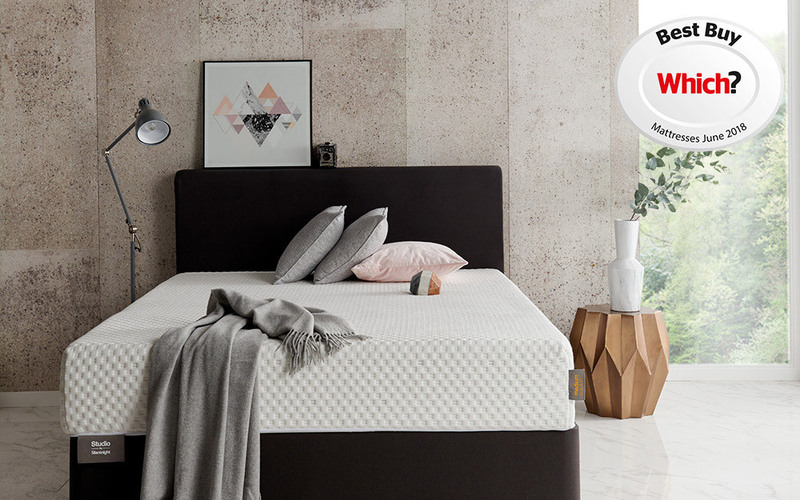 Wave goodbye to your aches and pains with the Studio by Silentnight Medium Mattress. State-of-the-art memory and gel-infused foam combine to provide the perfect balance of medium support and firmness. With Free Next Day Delivery Two Man Upgrade, a 60 Night Comfort Guarantee and a Which? Best Buy Award, this mattress really is sleep perfection.